Good nutrition is important for your health. A well-balanced diet isn't only good for your overall well-being but can help reduce your risk of chronic disease and illness. Our Department of Social Development’s Targeted Feeding Programme provides qualifying beneficiaries (who are physically and financially unable to take care of themselves and meet the qualifying criteria) with nutritional and developmental support. The Department of Social Development together with local NPOs deliver a feeding service to qualifying beneficiates 5 days a week. If you are experiencing malnutrition, growth stunts or undue hardship you can visit your nearest clinic, SASSA office, local Social Development office and NPO to find out how to receive a free nutritious meal. Once you’ve been assessed by a health professional, social worker, SASSA official or NPO you’ll be referred to a feeding site closest to you. 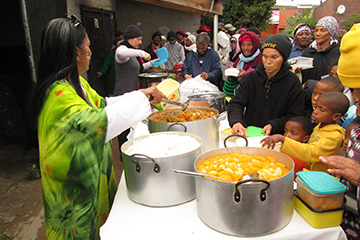 There are several active feeding sites operating in the province – providing meals to nearly 5 000 beneficiaries. Who qualifies for the targeted feeding programme? 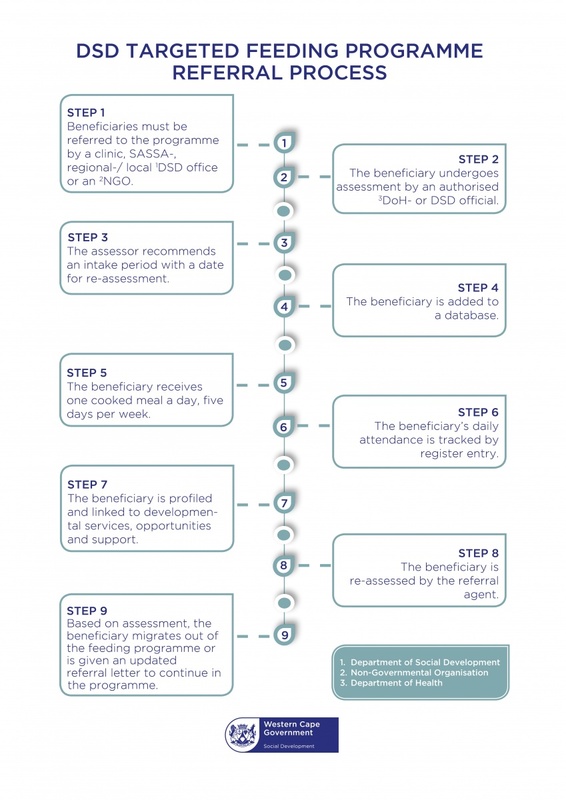 If you or someone you know meets these requirements, then have a look at the referral process or visit one of these facilities to find how you can access this service.